So i'm on my holiday vacation visiting my family and i am driving through Sandy, UT and my wife tells me we have to stop at a Target to get some diapers. I run into the store and am drawn to the soda section by intuition which is where i find this "root beer". I put that in quotes because it's difficult for me to even believe this is really a soda, let alone a root beer. Live Root Beer is a line of soda out of Austin, TX. There is a lot of info on the site about the company, about the founder and his motives, and especially about Kombucha and it's benefits. In a nutshell, Kombucha is a healthy bacteria brewed from a tea with lots of health claims, none of which are actually substantiated by scientific evidence according to the source of all truth. The claims on the benefits of Kombucha range from slowing the aging process and helping prevent/reverse hair loss to fighting and curing cancer and helping protect against harmful radiation poisoning. Yeah, for real. Of course, some of the side effects include just a minor case of death. None of this can be factually supported by the FDA or, you know, science. But people have believed this tea to be beneficial for centuries. It's commonly an Asian tea, which is why i hesitate to even call this a soda. Even the website says you should replace soda with this for a healthier lifestyle. The founder of Live Soda also has a couple other lines of healthy energy foods and snacks. I think it's probably equivalent to Activia yogurt, which has a lot of the same claims with the benefits to your digestive system from the probiotics contained in the yogurt. All i know is that Activia gives my wife chronic diarrhea, and on the bottle of Live Soda it says not to consume if you are pregnant or nursing without a physician weighing in first, so i doubt my wife will give an opinion on this one. I could say a lot more about Kombucha just from what i read on the Live Soda website, but i'll let you dive into that if you care to. The label looks professional and is well laid out to try and draw people in. It's well done, but still has the organic look to it. I bet this stuff is in Whole Foods. There are lots of benefits listed on the label, as well as the afore mentioned caution to pregnant ladies. And below the label it has the flavor listed as "Revive Root Beer". Gotta throw a healthy plug in there. But i will let you in on a little bit of my process. Normally before even starting a review i crack open the root beer and give it a taste, but i haven't done that with this one and there are a few reasons for that. One, it's in a 12 oz. clear glass bottle, so i have low expectations for it, especially since it's probably not even really a soda or a root beer. Two, i kinda have a big day today and i am a little worried it's gonna make me crap my pants. And three, on the label this stuff is listed as being both vegan and gluten free. Come on man. We already know it's organic. You gotta throw that at us too? This is the kind of hippie nonsense that drives masses of people away from so called healthy sodas like this. Alright... moment of truth. Just cracked the top off... smells a little gross, and... yeah. This stuff is foul. Not good, AT ALL. The founder says on his website that Kombucha isn't good tasting, but he has strived really hard to make it good as well as healthy. That's why it's sweetened with stevia and not cane sugar or high fructose corn syrup. The website also claims a rich creamy vanilla flavor and a hint of sassafras. I don't taste any of that. I don't know what i taste, but it's not good. I mean, the more i drink it, the easier it is to palate, but it wouldn't call this a pleasant taste and i for certain would not call this a root beer, or a soda. It's naturally fermented, which gives it a slight carbonation, but it overwhelmingly just tastes like tea or a rotten fruit juice or something. I'm not pouring it down the drain like i have done with other root beers, but this stuff is definitely not great. It's like the founder of Live Sodas says on the website though... if it tastes this bad it has to be good for you. My official review is that Live Root Beer gets 1 (one) IBC. They did it again. Hippies try and create an organic alternative that they claim is just as good as the original. I don't know what they are thinking or how their minds allow them to even attempt to say this tastes the same as root beer. If you want to make a "soda" out of tea, just call it tea soda. Or rotten fruit soda. But don't try and call this stuff root beer. I initially finished this review and published it with the rating of 2 IBCs, but as i finished the bottle and shuddered at the taste, i was convinced this only deserves a rating of 1. It tastes nothing like root beer and i'm most likely going to be tied to the toilet for the rest of the day. So thanks for that. I am writing this on an airplane on my way home for Christmas, so i think i'm gonna keep this one brief. Anchor Ginger Root Beer is bottled and distributed by our friends over at Orca Beverage Inc. It has a total sailor vibe to it, but less of a modern day sailor, like in the Navy, and more of a salty old sea dog aboard an old pirate ship. There have been other pirate themed root beers i have reviewed in the past, but this is not one of those. It's a straight up sailor root beer with no pirate affiliations other than those i conjure in my own mind. The website doesn't give much info about Anchor and the small paragraph on the site page is also on the bottle label. I think by reading it you will understand why i think of sailors in the golden age of sailing instead of a modern military serviceman or even boating enthusiast. Rather than type it out, i will just show a pic of it. Laziness, you win again. We are back to 12 oz. dark brown glass bottles, which is a step in the right direction. The label is professional and looks good. A big emblem of an anchor dominates the view and everything is in it's right place. Below the name of the root beer is a little tagline saying (and yes, i will type it out this time), "Soothing Beverage for the Traveller". They say ginger is used to cure motion sickness, or at least help abate the effects of motion sickness. And by they, i mean people on the internet who are probably not doctors and may in fact be hippies who have managed to steal internet access from a local non-chain coffee shop. The upshot is that this root beer is an oasis in the desert of mediocrity i have been seeing in the root beers i have reviewed recently. To be fair, i don't review as frequently now as i have in the past, so they are more spaced out, but this is still a welcome reprieve. Good carbonation, good root beer flavor, just a hint of ginger (which is enjoyable), and ultimately a great compliment to a plate of nachos which i strive to eat at least one of every day or my life, and often succeed. It's all about goals, you know? My official review is Anchor Ginger Root Beer gets 7 (seven) IBCs. I liked this one quite a bit. I wasn't expecting much, but it turned out to be one of the better ones i have reviewed this year. I got this from the Root Beer store, so check them out. 'Ello 'ello! I know what you're thinking by looking at the name of this root beer! Well knock it off, cuz you're wrong dummy. This is Big Ben's Root Beer (apostrophe "s", possessive). Besides, the Brits don't even like root beer. The website for this root beer is a bit rough. Seems like it never got updated from the mid '90s. From what i gather, Big Ben's beverages has 23 flavors of soda and is made in Catawissa, PA (a place i've never heard of). Since it's brewed in Pennsylvania, i wonder if the name of the root beer has anything to do with the Pittsburg Steelers. Hmm... someone will have to let me know if i'm on to something with that. Probably not though since this root beer was brewed and sold long before Roethlisberger was even in the NFL. The root beer is bottled by Catawissa Sparkling Beverages, a company started by a husband and wife back in the 1920s. I am still unsure if this bottling company ended up changing it's name to Big Ben's or they are just licensed to distribute Big Ben's along with several other brands. I don't know. The info on the website is a bit confusing and does not follow any hard narrative. It just kinda wanders and talks a lot about equipment used to brew sodas. I found it quite an uninteresting read, nor very enlightening. I'm note sure who wrote it, but i must say... it could use some work. But what would i know? I've only written somewhere around 170 amazing root beer reviews. And by that i mean my reviews are amazing, certainly not all those root beers. The website does mention switching labeling methods during different times in production. The current label is a glued on paper label with basically no frills. It's not the most generic looking label i've seen, but it's a contender. The colorful font is the only thing that saves this from being utterly drab. Even so, that's not enough. It just looks like a cheap root beer based on the label alone. I'll be honest... it's a little depressing to look at. I almost didn't want to drink it, and if i didn't take a vow and hold myself to a strict code of ethics i probably wouldn't have bothered with this one based on looks alone. Sigh... sometimes i hate having a strict code of ethics. I'll just cut to the chase. This stuff isn't good. It's not terrible, but it's certainly not a strong root beer. If this is popular in Pennsylvania then Pennsylvania is wrong. I don't know, i've never been there, but they aren't putting their best foot forward with this one. Right off the bat, clear glass bottle. My theory holds strong. I've had one or two good ones in clear glass bottles, but this seems to follow suit with most of the rest of the garbage in clear glass bottles. I guess they want you to really see their failure clearly so you have to make the moral decision of whether or not to ingest this stuff with full consciousness of the choice you are making. It has an almost bitter, really acrid taste to start, finishes with a hint of sweet from the cane sugar, and fades into an overwhelmingly bad after taste. Doesn't taste like root beer at all and what little flavor it has is very watered down. The carbonation is just shy of abominable as well. All in all, i was in for a terrible night after drinking this. My official review is Big Ben's Root Beer gets 2 (two) IBCs. I gotta say it. I hate this root beer. I hate that i am currently passing it through my body. It's not good. Period. Still, the crazy thing is that i have had worse. MUCH worse, and not just Henry Weinhard's. Just steer clear of this one. That's really the only thing you need to take away from this train wreck . 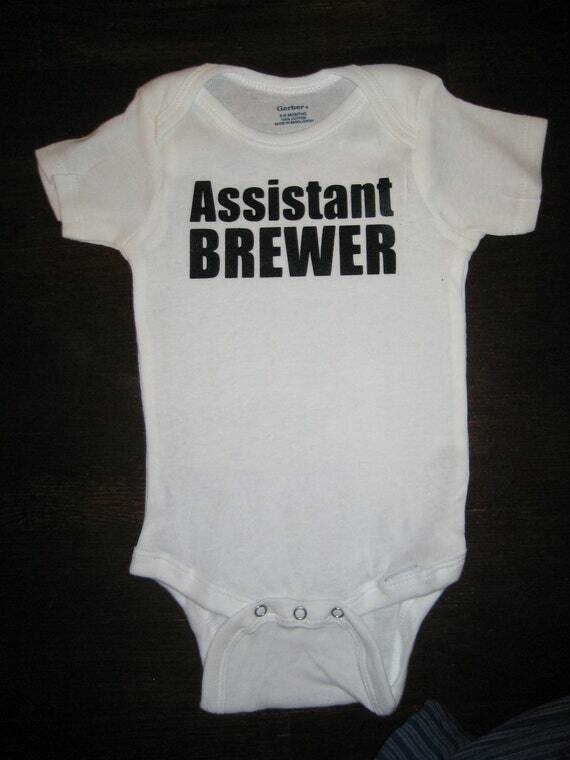 So seeing as it's the holidays, i thought i would pass on this gift idea that i have seen in the past. It's not new and i didn't make it up. I would venture to guess many of you root beer lovers have already seen this if you're spending your time reading a root beer blog. But i figured i would show it anyway. 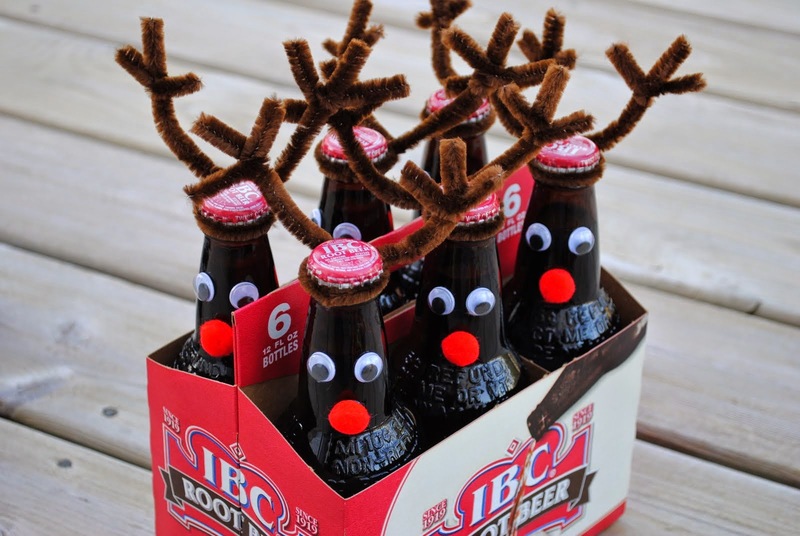 Root Beers Reindeers. It can be done with any brand of root beer (except Henry Weinhards, cuz that would be a sin and would offend the sweet baby Jesus). I of course recommend IBC. They are simple to make. Just some brown pipe cleaners for horns, googly eyes and a red puff ball for a nose. It's an inexpensive gift and people love them. Give them a shot. There is a little rhyme that goes with it, but i don't remember what it was. I'm sure you can look it up though. Merry Christmas to all! We bring you good cheer! With this hand picked variety 4-pack of root beer. we wish you a Merry Christmas in our own special way. So we hope you enjoy them. We've brought you the best. And if you don't like them, you should just act impressed. So i took a little break from reviewing. The only thing i can really say is i'm lazy. Sorry. But i intend to make it up by reviewing a few of these this week before i fly back to AZ for the holidays. This root beer has nothing to do with Christmas, but it does join the ranks of the elite few with "olde" in the title. Olde Philadelphia Root Beer touts itself as being "the REAL taste of America". 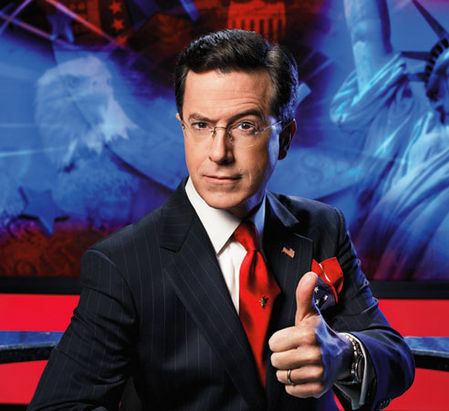 Sounds like a tag line Steven Colbert would give it, as i picture him saying it in my mind when i read that sentence. From the website i gather that this soda company has been around in Philadelphia for a while, but in 2010 came under new management who decided to shift the many flavors in their line away from high fructose corn syrup and begin using cane sugar to sweeten their sodas. They speak a lot about being revolutionary by relaunching their new cane sugar soda line in 2011, but it seems to me like they are just following suit with most of the small, vintage craft sodas out there. Lots of people are doing cane sugar guys. I wouldn't jump to calling yourself revolutionary just yet. Maybe you should use ponies to brew the root beer. Or children. Now THAT would be revolutionary. Or at the very least, controversial. On second thought, looks like that's already been done too. Sorry Olde Philly. Just keep your eyes open for a good opportunity i guess. This root beer is one of the dreaded 12 oz. clear glass bottle root beers that typically disappoint. I don't know what it is about these clear glass bottles, but i am usually not impressed by them. The label is colorful and nice. The website also said that while redesigning the logo, they wanted to be sure to keep the Liberty Bell central in the design to make this a uniquely Philadelphia brand root beer. Fair enough. I really don't have any problems with that. Olde Philadelphia is written in Olde English font and it has a sense of majesty about it. Like they are trying to be fresh and new while holding onto the past. It's not lost on me Olde Philly, i can appreciate the workmanship. I just wish there was more to the taste. As is typical of clear glass bottle root beers (again, i don't know what it is), the flavor is lacking. It's quite watered down and doesn't really taste like root beer at all. I taste the sugar. I feel the sensation of the carbonation on my tongue. I know my mind is telling me this is root beer. But i fail to make the connection with my taste buds. It's just not cutting it for me. If this were in a line up of unmarked root beers, i wouldn't be able to pick it out. It just has no substance. The website makes a big production of how much work went into revitalizing this whole brand starting with redoing the recipes, but this just tastes unfinished to me. Back to the drawing board Olde Philly. My official review is that Olde Philadelphia Root Beer gets 3 (three) IBCs. This is a touch harsh i realize, considering the fact that i didn't say it's gross. It's not. It's just nothing. It probably falls more into the 4 rating range, but i see way too many of these root beers in the same category claiming to be something they are not; legitimate. You've still got some work to do Olde Philly. Tighten it up and come back to me.